This unusual and rare sword comes from the Batak people of north Sumatra, particularly the Batak of the Pakpak region west of Lake Toba. The form of the hilt, which is in beautifully patinated cast silver, is based on that used for the tulwar sword of north India. It has a cross-piece to protect the hand in combat. The finial is reminiscent of an Ottoman turban (see the image below). 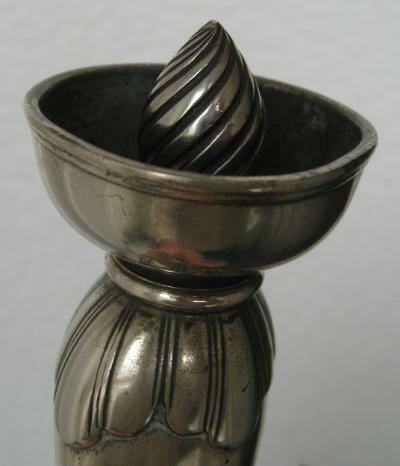 It rises from a silver cup beneath which there is a Malay-like twist of a border of cast petals, thus brining together the two influences – Indian and Southeast Asian – into the one item. podang swords are of cast iron, brass or bronze. 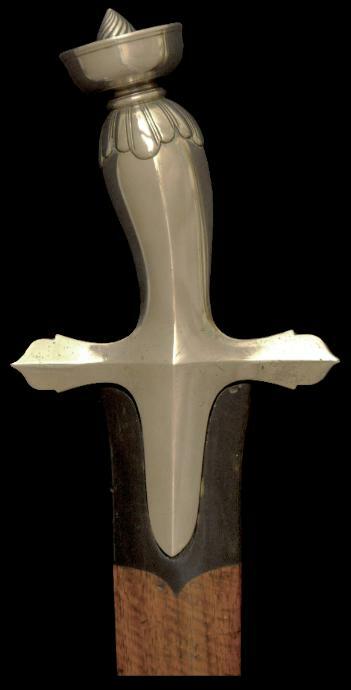 Cast silver hilts are comparatively rare. haj to Mecca. Mughal and Ottoman court dress and architectural forms also were replicated in north Sumatra. The slightly-curved blade is of steel and has two grooves running for much of its length. Possibly, the blade has been recycled from an old Dutch sword; this was not unusual among weapons produced in north Sumatra. The scabbard comprises two curved slats of reddish tropical wood, joined and finished at the lower end with buffalo bone and at the upper end with shaped buffalo horn. Similar Batak podang swords are illustrated in Sibeth, A., The Batak: Peoples of Island Sumatra, Thames & Hudson, 1991, p. 164; and Van Zonneveld, A., Traditional Weapons of the Indonesian Archipelago, C. Zwartenkot Art Books, 2001, p. 110.